The Super Mario maker is repurchasing $300 mln of stock and cancelling hoarded shares as owners like Bank of Kyoto adapt to new cross-holding rules. Buybacks can be a poor use of cash, but with Japan Inc holding $4 trln in reserve Nintendo is joining a worthwhile movement. Banners of Nintendo's new game console Switch are pictured at its experience venue in Tokyo, Japan January 13, 2017. 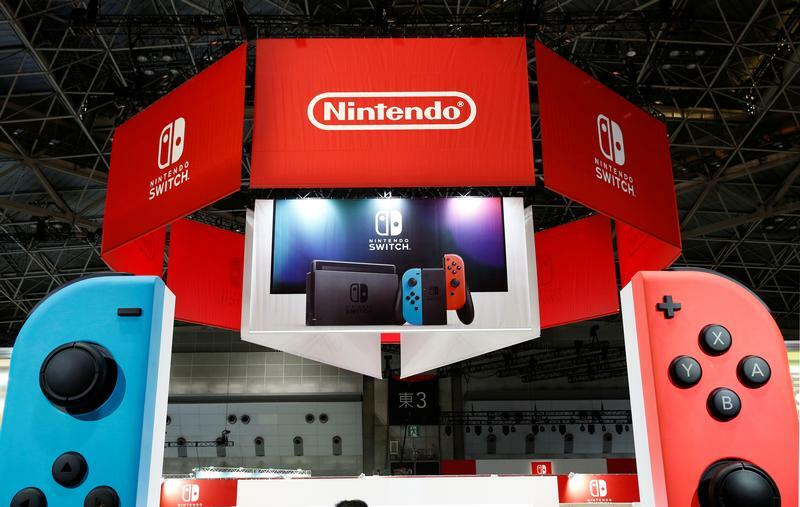 Nintendo said on Feb. 22 it would buy back up to 1 million shares, or about 0.83 percent of the total outstanding, worth about 33 billion yen ($298 million). The video game company also said it would cancel 10 million of its treasury shares on March 29. Separately, NTT Docomo said on Feb. 22 that it would cancel 447 million treasury shares, or about 11.8 percent of the number in issuance.